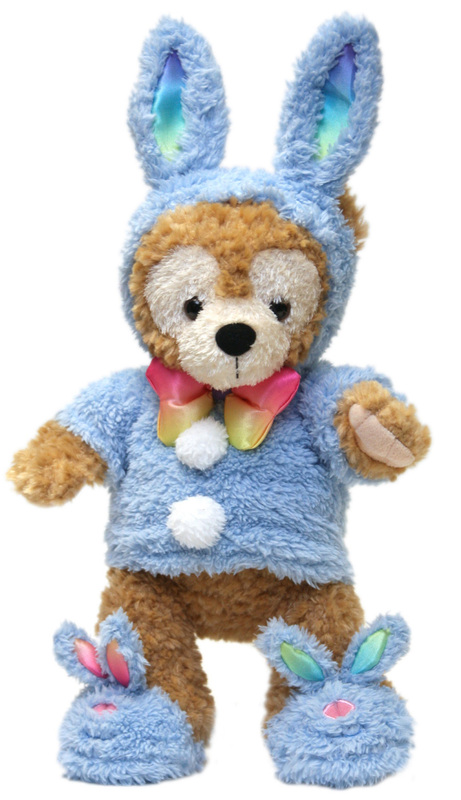 Are you a fan of Duffy the Disney Bear? I am, and it appears that I’m not alone (especially when I look at Duffy’s official fan page on Facebook). Speaking of Facebook, here is something super cool: fans can now post photographs on that page showing where they have taken their Duffys. (I even shared a photo from a trip I took last October). I’ve been updating Duffy’s fan page with several sneak previews, so I figured it was time to share some of those previews on the Disney Parks Blog. With Spring in the air, it means that Easter is on the way (it’s later this year – April 24). Duffy, however, is already dressed for the occasion. The Easter Bunny outfit has to be one of my favorites, besides his Canadian costume. Just look at those bunny slippers! Monty Maldovan, the Disney Design Group artist behind Duffy’s artwork, agreed with me about the slippers. Another item that caught my eye was an ear hat inspired by Duffy. It is due to be released in late April / early May. I couldn’t resist taking a picture of Duffy wearing his hat. It’s the simple things that make me laugh. 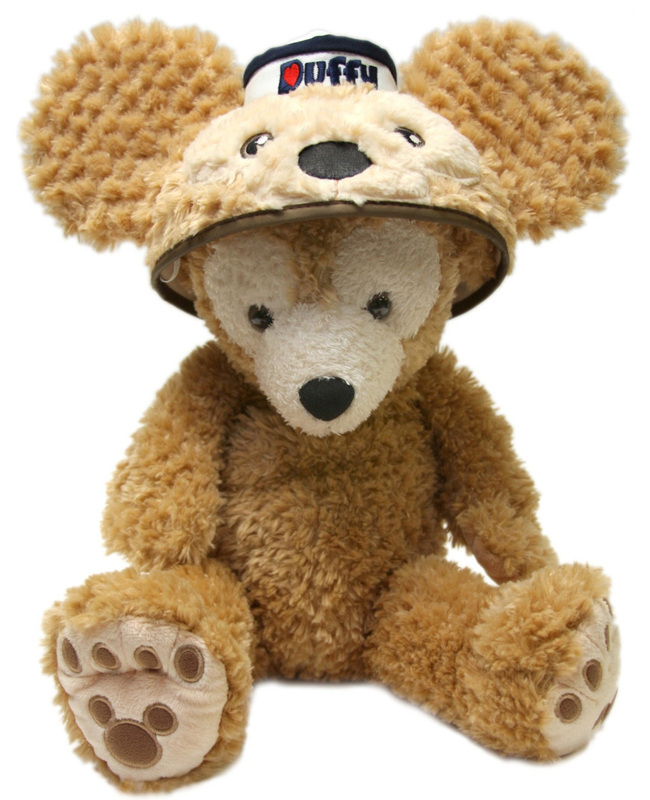 Megan Kachur, developer for ear hats, told me that the Duffy ear hat is the first time that an ear hat was made to look like a plush. I wonder if it will keep me warm next winter. Also on the horizon is a seven-pin collection featuring Duffy dressed in costumes inspired by the World Showcase pavilions at Epcot. It will be released in late June in California and Florida. 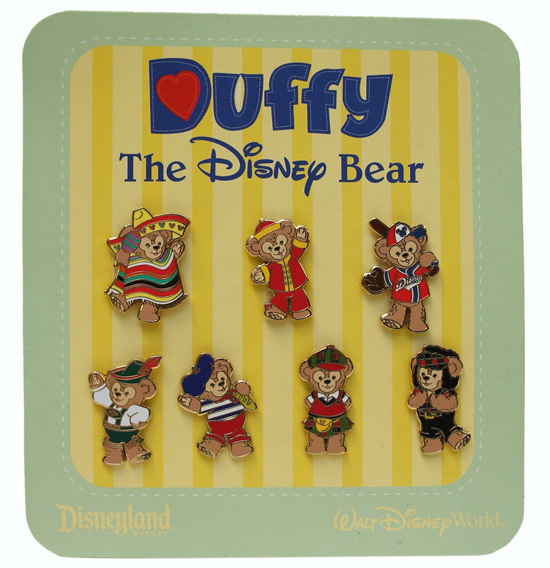 The pin artwork was drawn by Monty for the Duffy the Disney Bear style guide. This guide contains all sorts of graphics, background images, borders and more. In essence, it helps keep a consistent look for all things related to Duffy. One example of where the style guide was used is pictured above. 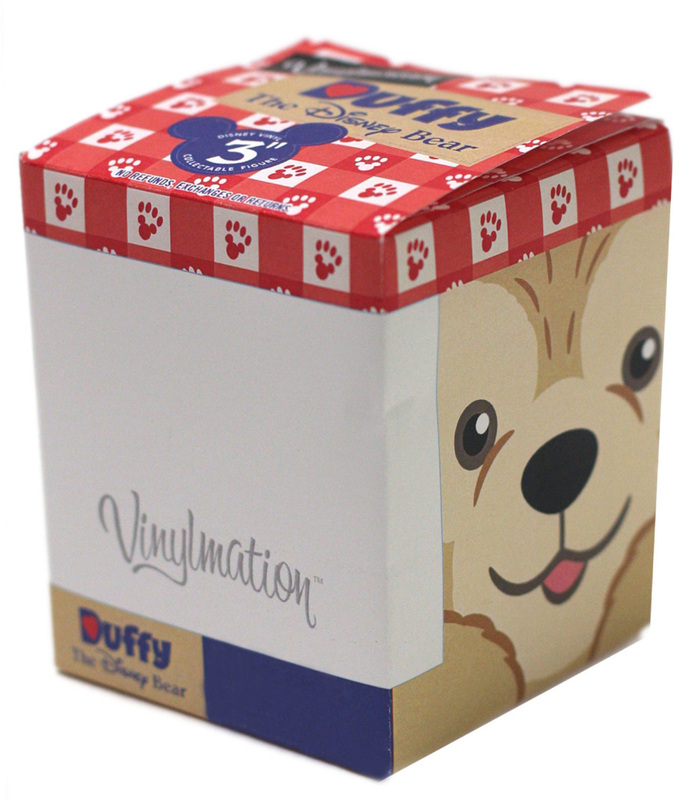 This image features the packaging for the open-edition Duffy Vinylmation figure. The folded paper box is a mock up that gave the art team an idea of how the finished product would look. Donald Ferro, developer for Vinylmation, told me that the figure probably won’t be seen until Spring 2012. The figure mold, which will be used during the manufacturing process, is actually being created at Disney Theme Park Merchandise headquarters via a new rapid prototype machine. This machine can literally print a digital file into a three-dimensional figurine. It’s amazing and a story for another time. Please tell Duffy I said hello next time you see him. I can’t wait to see where you’ve taken your Duffy on the official Facebook page!